Monitor dew point within your compressed air system. 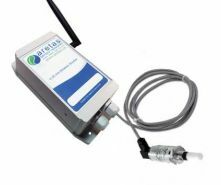 Wirelessly integrated into Aretas’ 4-20mA monitoring technology, this dew point sensor can be easily installed throughout your compressed air system, allowing you to review your data 24/7, at any location, anytime, worldwide. 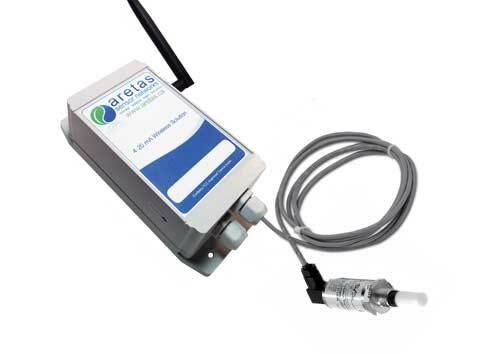 Our wireless 4-20mA monitoring system allows you to monitor dew point in almost any location in your system. It seamlessly integrates with our other sensor options such as temperature, humidity, CO, NO2, VOC to meet your unique needs. Call Aretas Sensor Networks today for a free demo of our online analytics which display data in many useful ways and offers capabilities including text and email alerts anytime your system varies outside of optimal levels. Our wireless dew point monitoring system makes monitoring as accessible as temperature and pressure with this fully configured, calibrated transmitter that is incorporated into our online dashboard and management system. Contact your live Aretas representative today to discuss your needs and how we can deliver the all-in-one monitoring solution that is right for you.